The 20 Alfa Laval spiral heat exchangers equipped with titanium plates required maintenance service that was long overdue. Since seawater is used as cooling medium, many of the units’ outer parts made of carbon steel showed signs of heavy corrosion. 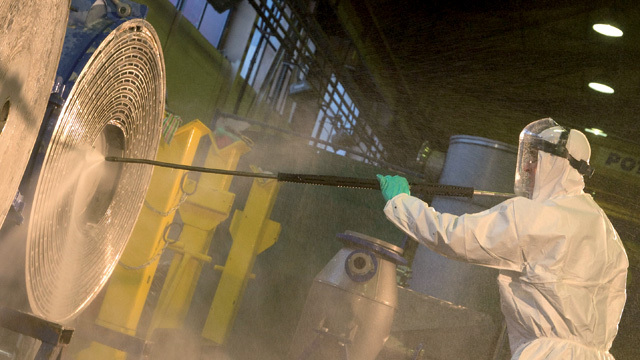 At the Alfa Laval Service Centers, the heat exchangers underwent general visual inspection of the carbon steel parts, integrity testing to determine the presence of any leakage, high pressure cleaning and chemical cleaning of the titanium plates as well as subsequent repair of internal leakage. With minimal investment, the reconditioned spiral heat exchangers now work like they are brand new. The cost of Reconditioning was about 30% less than purchasing new spiral heat exchangers. Ilva Steelworks is part of the Italian steel corporation the Riva Group, one of the world’s largest steel producers with net sales of 9.5 billion euro. At Taranto Steelworks, Ilva produces hot- and cold-rolled coils, quarto plates, pipes and pipe coating for the packaging and other industries.